Growing up, I wasn't a very big fan of hot chocolate, but it turns out I was just drinking the wrong kind. I always thought that store-bought varieties tasted watered down and finally gave up on the pre-mixed packets a few years ago when I made it from scratch for the first time. As with most things, the homemade version was definitely much better and I instantly became a fan! 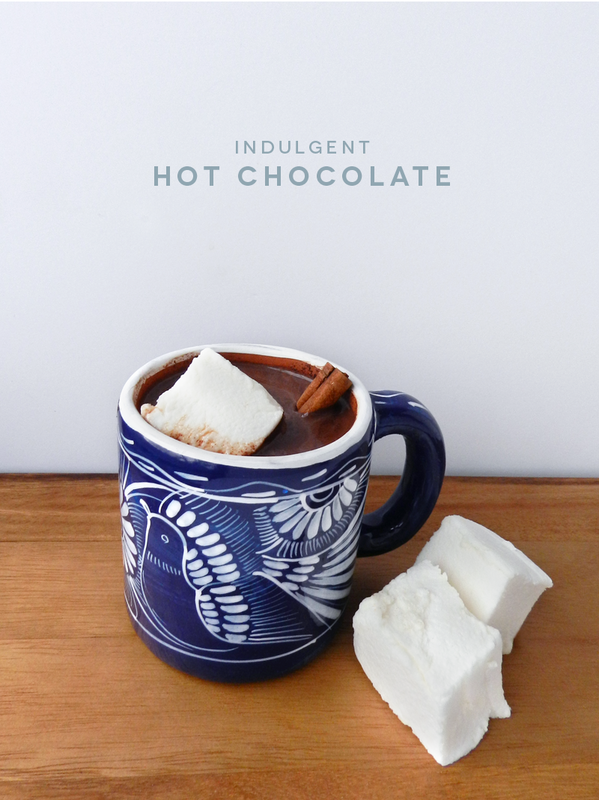 This year I gave this Mexican hot chocolate recipe a try and was not disappointed. The result was an extremely rich and indulgent drink with a hint of chili pepper and cinnamon, which gave it a unique flavor. I adapted the recipe slightly, so you can view the original version by clicking the link above or try my version below. 1. Heat milk in a microwave safe bowl for a minute or two, being sure not to overheat. 2. 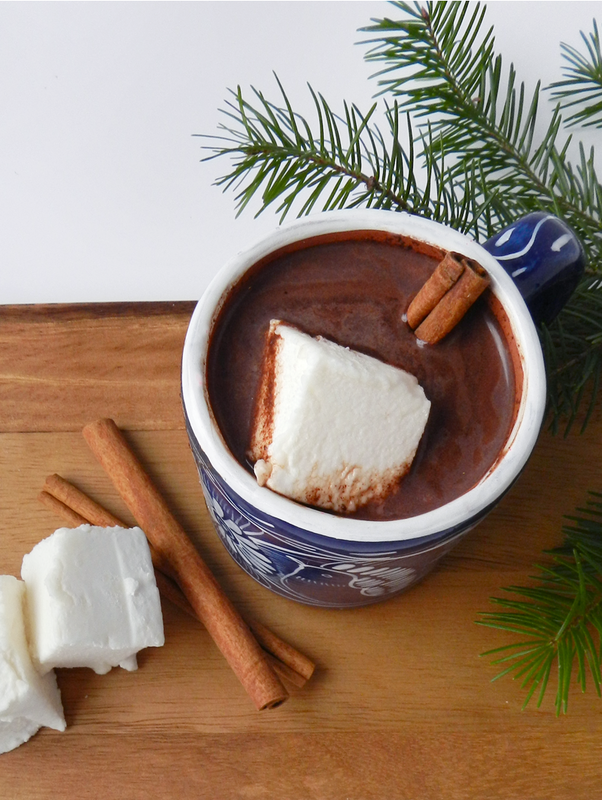 While the milk is in the microwave, whisk together the cocoa, cinnamon and chili powder in a small bowl. 3. Add the warm milk and square of chocolate to the dry mixture and whisk until chocolate is melted and ingredients are well combined. 4. 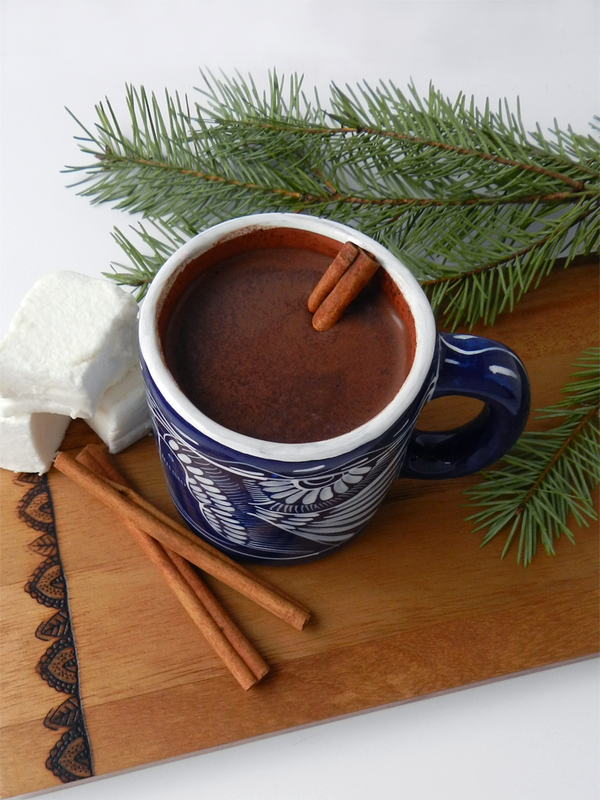 Garnish with a cinnamon stick and marshmallows and enjoy!